Vi-Slim is a health supplement developed by ViSalus Sciences. It is being claimed to work effectively in the promotion of muscle tissue in the body to improve one’s metabolism. With Vi-Slim, you don’t need to hit the gym more often because this product support muscle tissue. It is natural with aging that the muscle tissue decreases, which then results to the slowing of the metabolic rate. This is where Vi-Slim could have an intervention by promoting muscle tissue through the use of a blend of herbal elements. Other products use stimuli, but Vi-Slim resolves with natural herbs. This secures a slow change in the body, increasing the metabolic rate. Part of the manufacturer’s assertion is that Vi-Slim is potent enough to burn more than 100 calories in a day. The effectiveness of the product can be attributed to the following ingredients: Cocoa Extract, Green Tea, ForsLean, Evodiamine, Yerba Mate, Cocoamine, and Coleus Forskohlii. 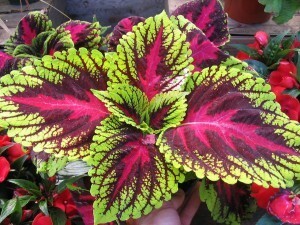 The Coleus Forskohlii in Vi-Slim helps to cheer you up while making sure the muscle tissue is also improved. Next, the Yerba Mate and Cocoa Extract augment the metabolic rate, slow down the appetite, and create this sense of happiness. The Green Tea in the formulation helps thanks to its antioxidants, which eliminates the toxins cleansing your body. It also supports in the burning of fat. ForsLean, on the other hand, fortifies the muscles and assists in the burning of fat. Chocoamine and Eviodiamine are included for the elimination of additional calories. Comprehensive information on Vi-Slim can be taxing to find on the official website at visalus.com, but it can be bought from The Vitality Company. The price is $50 for a bottle containing 30 capsules. What we like about Vi-Slim? Vi-Slim is efficient in the burning of unwanted calories. This supplement also works to sustain muscle tissue. There are no powerful stimulants involved. Through Body by Vi Challenge, one could have the motivation to make permanent changes. What we don’t like about Vi-Slim? Unfortunately, there are no trials being given. It hasn’t been determined yet if there’s a money-back guarantee. Caution is recommended when taking this product, especially in the case of heart problems, pregnancy and breastfeeding. Seeking your doctor’s advice would be wise. Courtesy of Visalus Sciences, Vi-Slim is now available in the market. This supplement does not contain any stimulants in its formula. The product is intended for the increase of the Basal Metabolic Rate by the improvement of the muscle tissue. The price of this product hasn’t been clearly indicated on the product site, though it can be bought from 3rd party retailers.